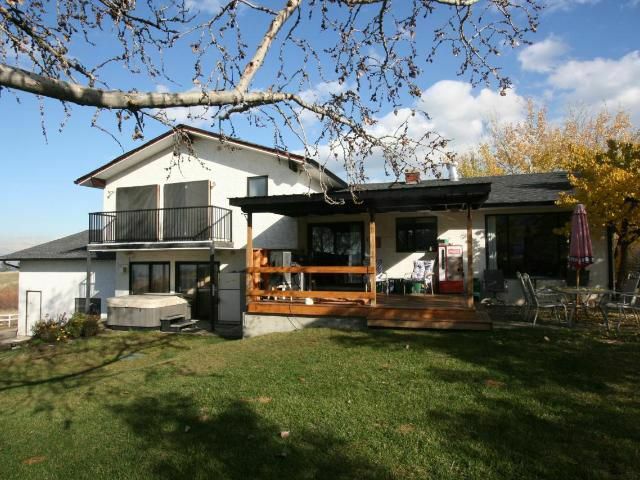 10 Acres with a super view overlooking the South Thompson River Valley. This Spacious bright 4 level home features 5 bedrooms and 3 bathrooms. Some new flooring in home with a brick feature wall. Property has an abundance of grassland fenced and cross fenced, paddocks for horses or other animals ( 4 box stall barn) outdoor riding arena and large hay shed. Barn is approx 36x24 plus loft. There is an all year round creek that runs through the property. The attached 3 car garage has 12ft ceilings, is heated and wired. Quiet rural setting. School bus passes at end of drive. Lot 9 Plan KAP24804 Section 6 Range 13 Land District 25 Meridian W6.